The ICRON 440 solutions offer the ability to integrate ExtremeUSB® technology into their own products and solutions with minimal engineering effort. 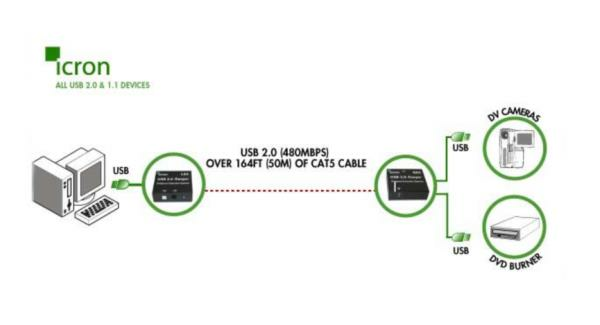 ExtremeUSB technology extends the range of High Speed USB devices up to 50 meters using Category 5 UTP cable and is fully compliant with the USB 2.0 Specification. (Limited Stock). The 440 are fully functional assemblies that implement the ExtremeUSB® protocol. They provide all of the necessary connectors and power distribution components to enable extended range operation. 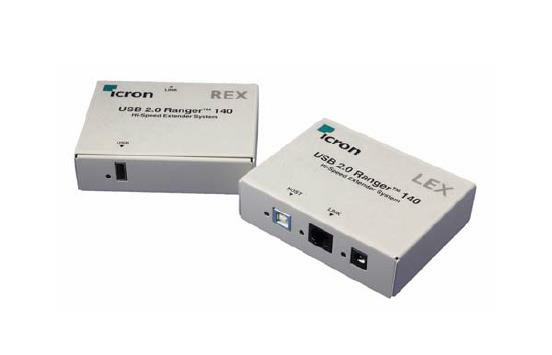 The basic requirements of an ExtremeUSB implementation with the 140/440 units are: one Local Extender (LEX) unit, one Remote Extender (REX) unit, power adapters for both units, a USB cable and a Category 5 cable. The power adapters can be purchased from Icron or supply the Category 5 cable and the USB cable as necessary.